"When your laundry piles up, Let Giralda pick it up!" your garments with first class treatment. Please login or create an account to get started. I authorize Giralda Cleaners, Inc. to charge the following credit card as marked and agree to pay the amount due according to card issuer agreement. I understand that I will be charged for services due to Giralda Cleaners, Inc. and I will receive a statement every time my account is charged. A copy of my credit card authorization form will be kept on file and will serve as my authorized signature on each charge. 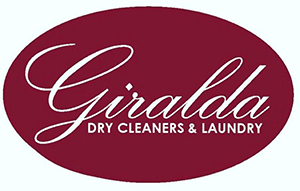 Your order # has been submitted to Giralda Cleaners Inc-Delivery and you have been sent an email with your pickup slot. If you can't find the email be sure to try your Junk folder and mark us as a safe sender.